I’ve known I am an empath for over thirty years. I’ve had a name for it for about the last ten. And the first time I read anything even remotely mainstream about it was this weekend. Richard Godwin’s article for The Guardian read as science, psychology, self-help, fraud or fakery, depending on your point of view. Certainly the faithful Guardian commenters below the line had their usual array of cynical and sarcastic responses, and very few were brave enough to say out loud ‘I’m an empath too’. There are problems with the article, the flaws in which were swiftly picked up on by the Guardian faithful: the headline empath had taken drugs which led to an awakening of his ability, and the narrative ‘proofs’ of some of the other empaths were described in such a way that it would have been easy to look at prediction as simply cause and effect. That is not to say that any of them were being deliberately fraudulent or misleading. But it demonstrates the difficulty of presenting anything for universal acceptance which is not scientifically grounded. I’ve written at length in other blogs here about the interface between science and the paranormal – if that’s the term you want to use – and my curiosity about what science might reveal were it to take a closer look at more of these sorts of experiences. Until someone takes a rigorous look at some core scientific phenomena that might be useful to prove or disprove by extension into some new contexts, we will remain in the realm of claim and ridicule. Godwin talks to Professor Simon Baron-Cohen, a researcher and expert on autism and developmental psychopathology, about the different types of empathy (cognitive, affective and consolatory), which anyone who experiences strong physical and emotional reactions to others would recognise. He also reflects on the societal value of empathy as a means of connecting with others, which can enable social and political resolution. I’d be interested to know whether Baron-Cohen has done any research on the correlation between autism and empathy though; I am aware of a couple of people with diagnosed autistic conditions who demonstrate many of the same qualities that the subjects of Godwin’s article claim to have, but who wouldn’t call themselves empaths or anything more than hyper-sensitive as part of their particular condition. I have seen one of these people predict a future outcome with staggering accuracy, and hone in with startling precision on the thoughts of a colleague in such a way that the only explanation would be highly sophisticated and nuanced communication on another level, whatever level that turns out to be, biological or otherwise. I’ve devoted some of my literary life to exploring aspects of communication on another level, partly as a way to explore the challenges I have experienced in my own life. I don’t know that I believe what I’ve experienced any more than the averagely cynical Guardian reader, but I can only tell you that things that have happened to me have been so indisputably clear that I have the evidence of something. Like some of Godwin’s interviewees, I frequently ‘hear’ the people who are calling or texting me long enough in advance to register the notion, wait, count to five, look at my phone and nod as their name appears. I have stolen unexpected news from people’s mouths as they brought it to me, and – occasionally – anticipated something that could not otherwise have been predicted. I don’t talk to others about this because I find it difficult to manage their response to me; other people don’t know how to respond without cynicism or ridicule, or sympathetic bemused kindness at what I have deluded myself into believing. And yet those whose news I have stolen always remember how weird it is, even if they can’t explain it and feel a faint indignation at how I blurt things out before they have a chance. Godwin speculates on the empath as a “millennial rebrand of the old-school psychic”. Certainly, the scepticism is strongly reminiscent of the late nineteenth and early twentieth century disdain for mediums of the sort I wrote about in Equilibrium. I suspect there is a difficulty with the word ’empath’ in this case: as Baron-Cohen identifies there are scientifically valid aspects of experience that promote kindness as well as creating a visceral response to the sensory overload described several times in Godwin’s article. Empathy – the process of recognising and responding to what someone else is feeling – is valid and valuable. But associating something scientifically acknowledged with something speculative and unconfirmed will be taken by some to be a corruption of the word, regardless of the people who claim its existence in the latter terms. Is a metamorphosis of one into another – across the divide of ‘proof’ and ‘truth’ – the problem here? Evie Woolmore is the author of magical realist novels Equilibrium, Rising Up and The Salt Factory. She is currently working on a new novel. I was saddened, humbled, and moved to respond to this week’s column in The Guardian’s ‘What I’m really thinking’ column this week, written by ‘the failed novelist‘. It’s such an emotive word, ‘failed’, isn’t it? I could have written that column myself. At least a good part of it. Feeling that writing was ‘my destiny’. Having a reputable and confident agent. The flurry of initial interest from publishers. Writing a second novel that was better than the first. But, over several months, my manuscript was rejected for reasons that bewildered me: often because all the slots for debut literary fiction that year were taken; once because I was a woman; but mostly because editors “just didn’t love it enough”. When I took the call from my agent saying we had no deal, I cried like a little girl. I also understand the feeling of being scarred. There is something very perilous about putting your novel, that very personal part of yourself out there for public scrutiny, even in a world of social media heart-on-your-sleeve exposure where there are seemingly no boundaries of the personal any more. It feels like trolling, when an editor says they just didn’t love it enough. The emotional, intellectual, psychological and professional investment that goes into writing a novel and asking others to judge it is perhaps unlike the production of any other art form. I’ve written elsewhere in this blog about what self-publishing and KDP has done for levelling the playing field a bit, and that was a solution that helped me. But it would be trite of me to advise the author of that Guardian column to self-publish and be damned. It might be seen as patronising to suggest that writers are people who write, rather than only being those who are read by others. We are watching a bereavement here, the passing and grieved-over loss of an aspiration. I have seen it many times before across many other professional lives outside writing. The inability to look with anything other than pain on the success of others, the incomprehension at the changing landscape, the feeling of neglect by ‘managers’ who should know better. These feelings are not unique to writers who have not been swept up by a publisher. But when I look at those tables of books by new writers and new books by old writers and manufactured books by celebrities and those with talents in other fields that splurge into the literary realm, I don’t feel “pity and scorn for people with dreams”. I am just glad that I actually can write. Plenty of those I work with in all my other jobs struggle to communicate the things they want to say, in written or verbal form. The pleasure for me of writing is exactly that. The ability to say exactly what I want to say in the way I want to say it. How lucky I am. I would love for others to share in what I write under my other name, but it’s still a talent of its own that has brought me much joy, whether I am read widely or narrowly, whether I am praised or pitied. And that joy, for all I have lost and mourned my once dearly-held aspiration, is still something I want to hold onto. Evie Woolmore is the author of magical realist historical fiction. Her novel Equilibirum was likewise signed by an agent and not quite loved enough by editors. But she loves it still. Magic realist novelist Evie Woolmore ponders the permanence of words and the distillation of ideas. I have lost two people very dear to me this year, and have suffered two more bereavements of a different sort. And as so often follows witnessing the mortality of people and situations, I found myself planning my own funeral and the things I wanted to remember. Yes, that I wanted to remember, not that I wanted others to remember about me. My personal beliefs are, in a sense, irrelevant in this context but when I lose something important, I always end up back with my writing again to remind myself of what still belongs to me and is unaltered by the passage of what others do and are or don’t and aren’t. So I re-read all my books and a lot of my other unpublished writing, and picked two passages that I want to be read at my funeral, not because I want to impress, depress or profess to others, but because they crystallise what I feel the greatest sense of possession over: my ability to capture what I most want to say in my writing, and how magic realism allows me to do that. Magic realism is, for me, the opportunity to go beyond the limits of others’ imagination and test only my own. Can I capture the potential of an idea without constraining it? So here is a single paragraph that I think shows what magic realism does best, and what I think it has allowed me to do best: to catch the most nebulous and intangible of ideas in a fleeting moment of sense. This extract is from the first chapter of my novel The Salt Factory, about a little girl who has extraordinary healing powers. Thelonia Jones, reluctantly returned to England to face up to her past, has just observed the girl bring a dying seagull back to life. The extract I’ve chosen however is not the healing itself, but what happens shortly afterwards as Thelonia’s worlds of wintry Colorado, an English summer, her past and her present begin to coalesce around her. Thelonia has just met the little girl’s protective relative, and the hostile reception has disorientated her. I shiver in the baking heat of the yard, slow to notice that the little girl is tugging at my hand. I bend down quite in spite of myself, and feel the girl’s lips brush my cheek. The smell of the sea and the cry of seabirds blossoms and fades like a night-flowering cactus, and for the briefest of moments I wonder if this is what the gull felt like when the little girl put her hand on it. There is nothing strikingly magic realist about the sentences in this paragraph. It could be taken quite literally that a rush of blood to Thelonia’s head has augmented her sense of reality, her senses themselves, much as I outlined in last year’s blog hop post. But for me, magic realism often relies on that very conflation I described when introducing the paragraph. It is about the layering of one thing on top of another, images, senses, ideas. Thelonia shivers in the heat. The sensations of being beside the sea remind her of something altogether more exotic from the dry heart of the America she has come to call home. She dislikes children but she allows the little girl to kiss her cheek. It is the promise innate in the contrast, in the space between the two extremes. And in magic realism, the ‘extremes’ are reality and magic, the actual and the possible. They push each other further away and pull irresistibly towards each other. In this short paragraph from another of my novels, Equilibrium, Epiphany – an Edwardian medium – is about to conjure up the physical form of her spirit guide Rosina in front of a packed theatre and several close witnesses. Through the strands of her loose blonde hair that fall in front of her face, she can see the conductor’s beady gaze peeping over the edge of the orchestra pit. He has watched her a dozen times already but still his eyes widen when he glimpses her ankles, so distracted by this enchantment that he is oblivious to what he really sees. But that is at the heart of Epiphany’s success and she has learned to be glad of it. Do our eyes widen when we read magic realism because we want to be distracted by the enchantment? Do we wish to be confounded, transported, challenged, thrown out of our imaginative literary comfort zones into some place we have never been before? And are we willing co-conspirators in our own oblivion, determined not to see the joins between the magic and reality? I think so. In fact I depend upon it. I relish it, love it, respect it and cannot really live without it in my writing. I’m playing a game with reality, I suppose. But that game is ultimately about contrast. It is about the eternity of ideas juxtaposed with the very temporaryness and mortality of words. There is a theory in creative analysis (I think) that suggests that art works or pieces of music only actually exist when they are seen or heard by someone. I am certain that my writing will cease to have relevance after I have died. But the ideas will live on, and for a fleeting moment when my words are read, the magic in them will become real. Evie Woolmore is the author of three magic realist novels, available through all Amazon sites. To find out more about Evie and her writing, have a wander around the allonymbooks website searching by the tag Evie Woolmore or magical realism, or download some free samples for your Kindle. You can also find some great novels by other allonymbooks authors here too. And if you follow this link, you can read fellow allonymbooks author Cadell Blackstock’s magic realist blog on Northern Exposure. This post is part of the Magic Realism Blog Hop. About twenty blogs are taking part in the hop. Over three days (29th – 31st July 2016) these blogs will be posting about magic realism. Please take the time to click on the frog button below to visit them and remember that links to the new posts will be added over the three days, so do come back to read more. Zoe does a great job curating this every year, and the blogs are always worth reading! allonymbooks magical realist author Evie Woolmore peeks, sniffs and cranes to hear the faintest hints of sensory perception for this year’s Magic Realism Blog Hop. Magical realism is often about stretching our definitions of reality, but one of the things I most like to do as a writer of magical realism is to plunge the depths of the most tangible features of our reality: our senses. The magical aspects of MR are often enabled by challenging what we see or hear, or harnessing the sixth senses of intuition and perception beyond the other five. But there is a kind of enchantment to be found in the most everyday of the senses, particularly smell and taste. I mentioned in last year’s Blog Hop that that is one of the qualities I most admire in the novels of Sarah Addison Allen. Her plots may be uncomplicated with respect to some of the storytelling in the genre, the settings domestic, the life challenges identifiable, but within them lies the magic, much of which is crafted by the way Allen uses the senses to describe her characters’ experiences. Food plays an important part in Allen’s books, indeed Garden Spells is essentially a love letter to the sensory pleasure that food can bring, and many characters cook or bake, seducing themselves and others into states of calm, romance, safety. Allen uses flavours and scents to evoke memory, which isn’t in itself unusual: “cinammon…was a calming scent, reminding him of mulled wine, baked apples, and winter nights.” (Lost Lake). But it is not merely one sense that Allen uses but senses in combination, connected, fused together. Incidentally, that same fluidity between states of sense is also found in Allen’s management of time in her books. Time is crafted, manipulated, rewound to reset the past, the present and the future, and memory and anticipation, the past and future versions of ourselves are also key to the magic of Allen’s story-telling. I could write all day, picking out lovely sentences and ideas from Allen’s books. But I suppose the reminder for me in my own writing is that magical realism thrives on creating the imaginative and extraordinary from the everyday components of experience. Evie Woolmore is the author of three magical realist novels: Equilibrium, The Salt Factory, and Rising Up. You can find out more about Evie here on the allonymbooks website and buy her books on all Amazon sites. This post is part of the Magic Realism Blog Hop. About twenty blogs are taking part in the hop. Over three days (29th – 31st July 2015) these blogs will be posting about magic realism. Please take the time to click on the button below to visit them and remember that links to the new posts will be added over the three days, so do come back to read more. Visionary Fiction: Does the same wine taste different out of a new bottle? allonymbooks author Evie Woolmore has recently joined the Visionary Fiction Alliance. She ponders how this might affect her ongoing questions about genres and labelling. Years ago, when I was a student, I took a class on artistic criticism – literature, art, music and so on. We spent some time criticising stuff, and we spent some time reading other people’s criticism of stuff, all the while a-pondering who we were as critics and the impact of that on how we criticised. In many respects, it was quite a revolutionary class at the time, for reception theory was not all that widely taught, and because I was also interested in movies, I began to think a lot about how who we are impacts on the way we retell stories that we read or see on screen. Decades on, as a writer, this idea has come to pre-occupy me a lot, and as anyone who has followed the excellent blogs on the Magical Realism Blog Hops (2013 and 2014) will know, those of us who call ourselves magical realist writers spend a lot of time thinking about what this genre means, and how it is defined. We think a lot about what readers bring and expect when they pick a book that belongs to our genre, and how expectations can be both enhancing and problematic to us as writers. We think also about how different themes in our stories are picked out and remembered by reviewers, quite often unrelated to what we intended as writers. I think I’ve disappointed a fair few magical realist and historical fiction readers along the way, so I was curious when someone suggested to during the last Blog Hop that perhaps what I wrote could also be defined as Visionary Fiction. One of the interesting aspects of writing anything with a paranormal, supernatural or otherworldly element to it, is just how many labels you can apply to the finished book, and how many of these categories overlap. Amazon makes my life very difficult by over-simplifying its categorisations, though they are just one sieve through which my books will fall. I’m better at defining what my books aren’t – at least by looking at what other books fall into that category – than I am at defining what my books are. A quick swipe through the Goodreads ‘Historical Paranormal’ list made me realise that I definitely don’t belong there, and yet my books are definitely historical fiction with a paranormal twist. So what I like about the idea of Visionary Fiction is the idea that VF is a tone of writing, as much as it is about content. In writing historical fiction, I could hardly be described as an architect of the future, which is often considered an aspect of VF, but what makes my writing very definitely VF is “the emphasis is on our limitless human potential, where transformation and evolution are entirely possible“. For me that is the tone of writing. What I write is entirely possible. So, while I do not have the vampires or exoticism that so often feature in the outlying areas of paranormal and magical realist fiction, I do have “dreams, visions, paranormal events, psychic abilities, and other metaphysical plot devices”. And perhaps, in having them, I have at last also found the right home for my novels. You can download samples of all Evie’s books by clicking on the cover images, or you can go to her webpage and find out more about her novels. Evie Woolmore‘s novels are available on all Amazon websites. Marilee Harper, jobless and locked in a complex relationship with her mother, is introduced to the somewhat mysterious and disconcertingly attractive John Smith, who is renovating an old hospital into a new bed and breakfast. Their unease around each other seems to infuse the atmosphere, which is increasingly unsettled by strange goings on, but Marilee and her mother move in and set about helping John with his project. But nothing is straightforward, for amid the romance is a sprinkling of mystery and the sparkling presence of Fair Folk, and what starts out as a journey of self-discovery becomes much more than that for Marilee. I had the good fortune some years ago to spend a few months living in a small New England town, and anyone who has lived in a small town anywhere will instantly recognise the strong sense of community that pervades this book. Ms Bryson has peopled her novel with a large cast of well-defined characters whose interdependence and individuality form the nucleus of both a successful community and a fictional world. What sets this novel apart from other small-town romances is the paranormal twist, and with due reverence to Shakespeare, Ms Bryson has embraced the possibilities of fairies and the Otherworld. Indeed, it is just as well that Marilee has ‘a high threshold for the bizarre’ – although she revises that statement immediately to a low threshold, she has a curiosity for what motivates, ensnares and defines those around her, which I’m sure reflects the author’s own interests as a writer. This is a study of people, and there are many to keep us intrigued. Marilee’s growth as a character is certainly key to our desire to keep reading. With my editorial hat on, I felt it could have done with a ruthless edit in the first half of the book: the pace is slowed by Marilee’s detailed self-reflection and self-analysis, and the sort of small town minutiae that are essential to local narratives don’t always translate as effectively to the fictional narrative where we need merely enough to delineate the boundaries of the story. In her gloom, Marilee also has a tendency to go round in circles at times, and though this is a good reflection of how her circumstances have trapped her, and how depressed I think she genuinely feels, it can at times have the effect of alienating the reader who relies on Marilee to drive the first person story-telling. Nonetheless, this is a vividly drawn novel which will immediately enchant anyone who recognises themselves, their community or the twinkle in the eye of someone who is not quite what they seem! Evie Woolmore’s historical magical realist novels have a strong infusion of the paranormal, perfect for the Hallowe’en season! Find out more at her Amazon page or here on the allonymbooks blog. 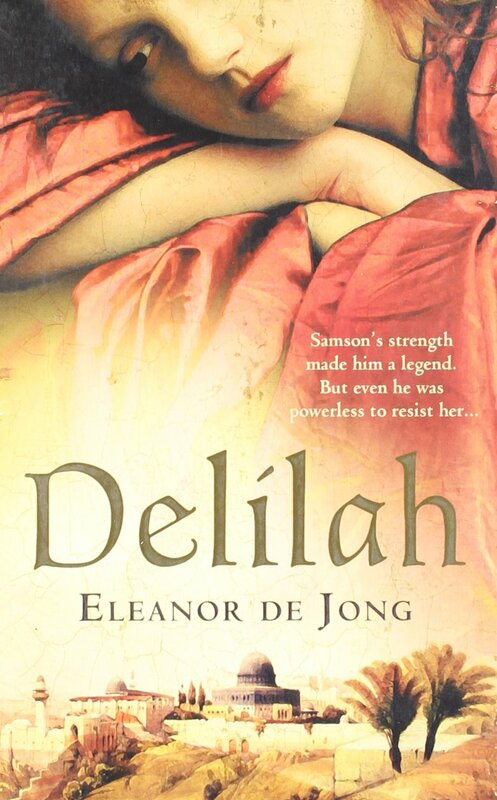 This week, allonymbooks author Evie Woolmore talks to Eleanor de Jong, author of Delilah and Jezebel (published by Avon/HarperCollins) about the challenges of writing fiction whose characters are known from one key source. Evie Woolmore: We met at the London Book Fair last year, Eleanor, and I was surprised to see you at the Author Lounge, hanging out with the indie authors. You’d already had a two book deal with Avon/HarperCollins to publish Delilah and Jezebel, after all. What did you learn from the event? Eleanor de Jong: What I learned was how much fun indie authors have! There’s a sort of collective spirit about gatherings like this that I think can sometimes be missing among print published authors. I wondered when KDP first took off how the latent sense of competition in traditional publishing – to pick up an agent, to get a great deal, to get good reviews, to sell well – would translate to the indie market. But what I think no one really anticipated was how mutually supportive most indie authors are of each other, how willing people are to share their experiences and expertise, and how much the book buying market has been blown open by e-books and the sort of pricing that indie authors are using. EW: I remember talking with you about pricing in particular. At one time, I think you said, both your books were priced at 99p by Avon for Kindle at Amazon – that’s normal pricing, not a Daily Deal. EDJ: That’s right. I was really interested by that. The paperbacks retail for £7.99 and although the Kindle edition came out a few months later for Delilah, my first book, they put it on at 99p immediately, I think. When Jezebel was published, the e-book came on immediately at that lower price. They both went up to £1.99 eventually and have now settled at £1.49. The effect of the 99p pricing though was really fascinating. Sales shot up very quickly and for a while both books showed the effect of that in the rankings. Given how much flack print publishers get for their e-book pricing, I thought it was interesting that someone somewhere had worked out that this was the way to sell this particular type of book. EW: You’re smiling as you say that. Go on, what do you mean?! EDJ: Well, I wondered at the time – and I still think about it now – whether there was a bit of a van Gogh factor involved. By that I mean the idea that the price of the book indicates the implied level of worth of the art. Print publishers are generally reluctant to price the e-book versions of novels by their ‘big name writers’ at lower levels, while they accept that the print versions will be discounted. At some level, I’ve always suspected that there’s a cachet/worth thing going on there, that while one might promotionally discount a hard copy book to get it started by catching people’s eye in a bookstore, the e-book price has come to represent the latent value to the publisher of the work, in other words a sort of benchmark value below which the book will never drop. Like the way that we accept that gold will always have a minimum certain value, like van Gogh will always sell for a certain kind of figure at auction. EDJ: And your books too! Cheap at half the price! Seriously though, I want to be really clear that I don’t think this strategy applies to indie authors: I mean, how could it? Indie authors are each doing their own thing. There’s no capacity for conspiracy in the market, implied or otherwise, no potential for price-fixing as such. It may be – and I’ve seen certain indie published books that bear this out – that there’s an issue around ‘worth’ that is a factor for indie authors. They want to price their book at a certain level because they feel that is what it’s worth. But like buying a house, something is only worth what people are prepared to pay. And if you make it easier for them to pay less, they will. But the point you were heading towards is that if the new Jack Reacher is over £8 for Kindle and my books are £1.49, I am considerably less valuable to my publisher than Lee Child is to his. EW: And that is what you mean by worth. EDJ: Exactly. The worth to the publisher, not the absolute artistic worth. Now, I would caveat that by saying that Avon and HarperCollins have, as they put it, made a deliberate decision to ’embrace the digital revolution’ by pricing their e-books relatively low. But the wider point is that Avon understand that there is a market for a certain kind of book at a certain kind of price. And actually I have benefitted from that in sales. Which is all the more surprising when you read some of my reviews! EW: I wanted to ask you about that. You’ve had some brutal responses. To Jezebel, for example: “Inaccuracy about significant elements of the biblical account- is simply useless & unworthy. Should be discredited.” And: “…a book that glorifies a queen who was not someone to glorify and which directly contradicts the truth in the Bible. It was not only poorly written but it was actually offensive.” How do you respond to that? EDJ: I don’t think any writer likes to disappoint their reader, but I’ve always known that a book which might be described as ‘Biblical fiction’ is potentially divisive. However, I think there are two elements to think about here. One is the issue around historical authenticity and how readers of historical fiction respond to that. Delilah got picked up by a historical fiction book club in London last year, and one of the comments which came back to me after they met to discuss it was that the novel wasn’t really historical fiction at all, not in what is the currently accepted convention of meaning historically factual, factually driven, precise and authentic. There’s huge debate around that, at least for me, to do with scales of ‘accuracy’ if you like. Where do writers who set their novels in the past place themselves on the scale between Hilary Mantel-esque moment-by-moment authenticity and a reasonable stab at a plausible setting? EW: And with that, the question of how much the history controls the story or the story controls the history. EDJ: Yes, and I know you’ve thought about that with your own novels. But secondly, and I think more problematically for some readers, there is the genuine challenge of writing stories using characters not only from another book – because the Bible is nothing if not that – but a book which has varying degrees of authenticity to different people. If you are a reader of the Bible who comes to it as truth, then you are likely to feel that the people of its pages should not be taken out of context. If that is your starting premise, I wonder why you would pick up a book about one of those people which is clearly a work of fiction. Fiction is about invention, imagination and artifice. My books are also very clearly Romance, as indicated by the cover and the blurb, and Romance is a genre which drives story over context every time. I think therefore that if as a reader you want to protect one particular source of a person’s story, you are always going to find it a challenge to read another telling or another interpretation. EW: So you’re not at the Hilary Mantel end of the scale? EDJ: Absolutely not! I don’t think I’d call myself a historical novelist either, at least not in the sense that other historical novelists would want to be seen sitting at the same table with me! But that was not the point of writing these novels. I wrote them because I like romantic fiction, and I was interested in seeing how the lives of these two women might be envisaged as romance in a time when alliance and allegiance were much more important in relationships. I also enjoyed the chance – as all imaginative writers do – to invent and imagine some historical details that aren’t really available to us, such as some of the more insignificant domestic rituals that are a key part of the colour of this genre. 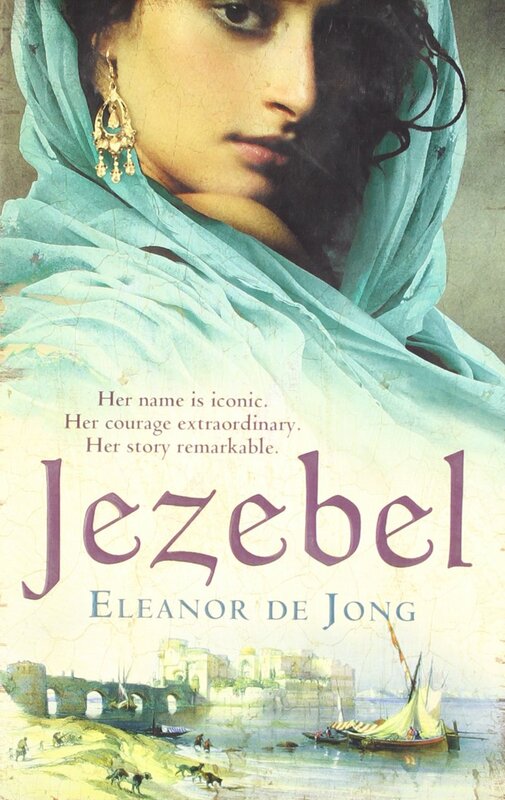 There are very few other purely historical sources to go on – Lesley Hazleton‘s very readable research on the untold story of Jezebel is excellent – but I am a romantic novelist. I am not claiming to have written a factual historical novel. The readers who have enjoyed my books have taken them, I suspect, for what they are. That is not to say that I like to offend a reader any more than I like to disappoint them, because I don’t. But I don’t think the novels hide what they are. And in the age of downloading digital samples instead of flicking through the first few pages in the store, it’s still more than obvious from the outset what the novels are like. EW: Didn’t someone say that to you as a reason for not reading Delilah? EDJ: (laughing) Yes, my best friend picked up Delilah when it first came out, told me how proud she was of me, and then said, “But in all honesty, El, why would I buy it when I know how it ends?” She had a point. I don’t know if proper historical novelists think about that too. But being a romantic novelist, it’s all about the journey for me. We all watch agog every time a new film version of Pride and Prejudice is made, even though we know that Mr Darcy is going to get his girl. It’s the twists and turns that make us watch though. EW: So what’s next for you? Another romance drawn from the Biblical cast list? EDJ: I don’t think so. Avon offered me a two book deal and they got their two books. They haven’t shown any interest in any more, but that frees me up to write whatever I want without adding my publisher to the list of people I can disappoint! I remember being hardly able to breathe with excitement when I got the deal five years ago. But so much has changed. And for the better, I think. Eleanor de Jong’s books are available in print from bookshops and on Kindle from Amazon. Evie Woolmore‘s magical realist novels are all available from Amazon, and you can find out more details by visiting her page.